JOIN US FOR AN AFTERNOON OF ANCIENT MAYAN HEALING AND LEARNING. 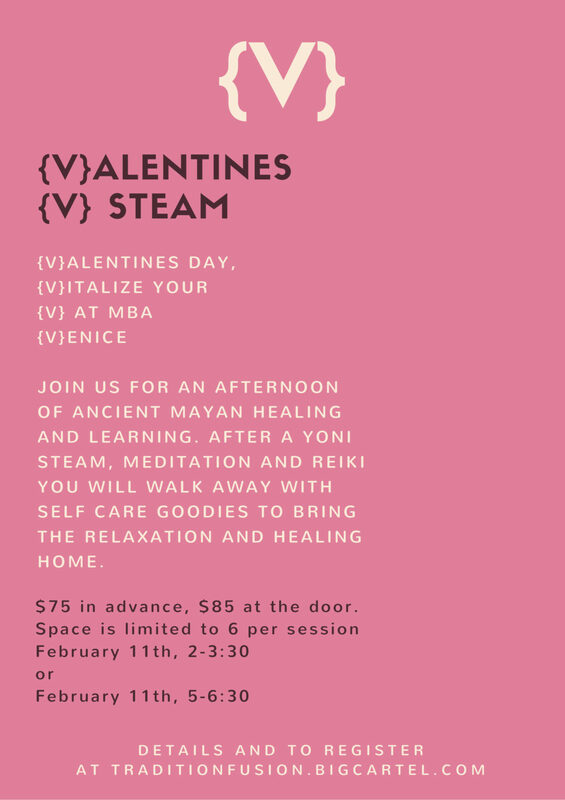 AFTER A YONI STEAM, MEDITATION AND REIKI YOU WILL WALK AWAY WITH SELF CARE GOODIES TO BRING THE RELAXATION AND HEALING HOME. $75 in advance, $85 at the door.